Fatwood Fire Steel is a 1/2"x5" ferrocerium flint rod mounted on a Missouri premium fatwood handle, 550 paracord lanyard and 4directionsbushcraft.com carabiner. These are all hand crafted by 4DB and have their own unique look. 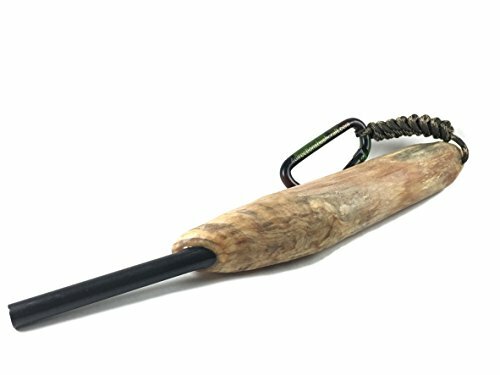 These are designed to be an all in one fire with the fatwood handle that is large enough for many fires. They are naturally water proof and reliable in all weather conditions. Clip these to any pack with the 4DB carabiner and never be without a reliable fire source and sustainable fire tinder.